Fractal geometry is a pretty common denominator in the architecture and interior design field. It’s a form of geometry that mimics natural patterns and exhibit similar shapes. This kind of geometry is detailed and very mathematical in nature – but we won’t get into that. We’ll basically be taking a look at how you can use fractal geometry to make your interior designs more interesting. 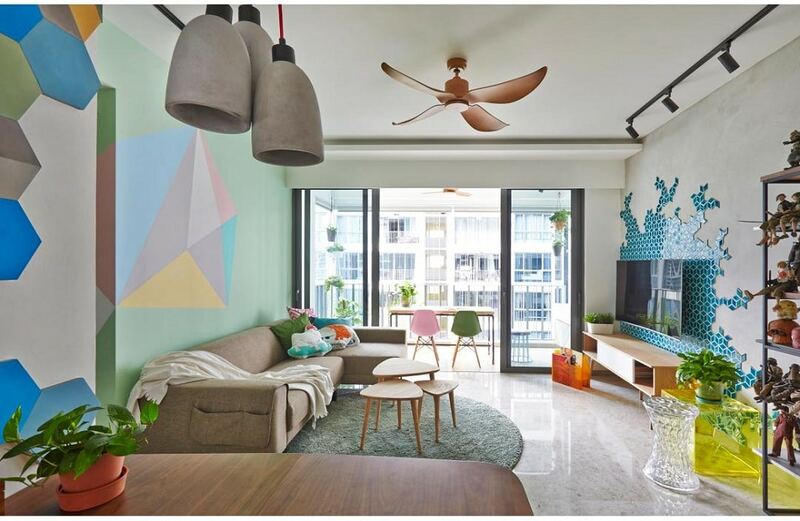 The fractals in this interior design feature a unique, pastel colored make. Each oblique shape mimics the other, and yet has an individual look of its own. This kind of fractal geometry is extremely attractive because of its subtle asymmetry. 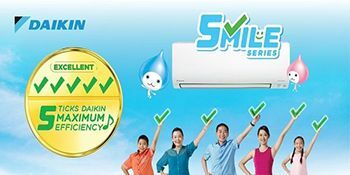 However, the designers have added an extra edge by making the color scheme supremely attractive as well. 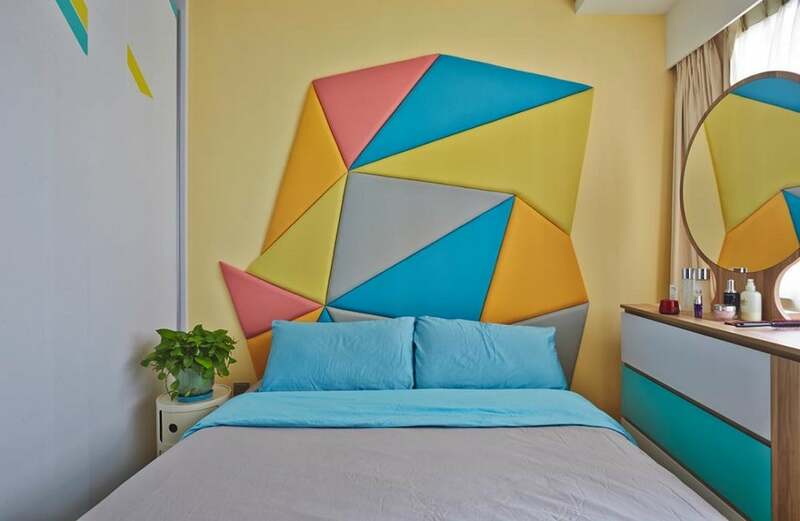 This bedroom features the most beautiful cluster of triangular fractals. They’ve been arranged in a feature, prominent formation above the headboard of the bed. 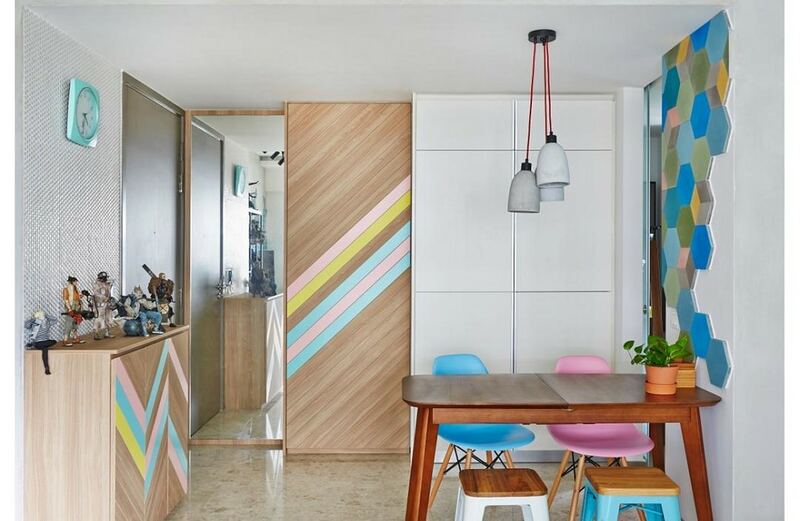 Moreover, the colorful articulation of the entire form adds a playful touch to the whole space. It makes the whole bedroom interior design look positively stunning. Accomplishing a three dimensional geometric formation in any space can be a truly challenging task – much less this small one. But the designers have managed to incorporate the fractals as well as the basic geometry quite well. 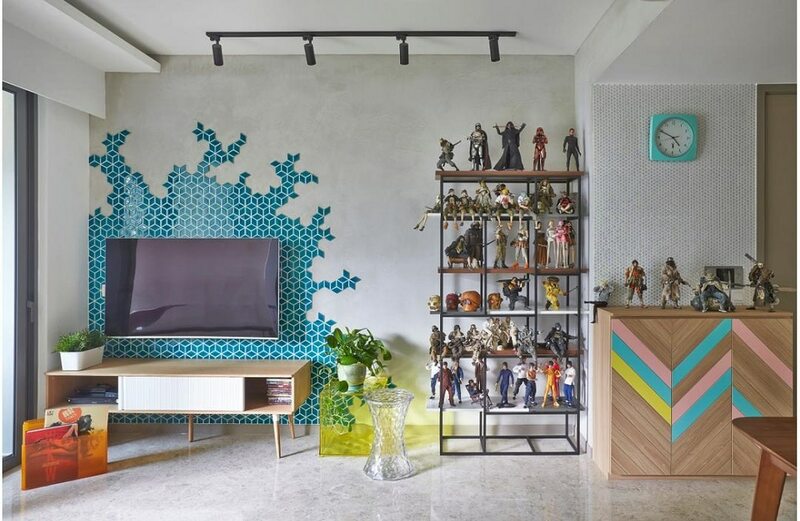 The furniture adds a 3D effect to the entire arrangement, and this particular form of visual clutter looks very attractive. Fractal geometry can be pretty lean – the arrangements can work in microscopic formations as well. This is why the mosaic tile formation creeping in an abstract design looks especially attractive. The teal color of the tiles also adds a vibrant beauty to the whole setting. It’s a great way to add a touch of organized chaos to your interior designs. Hexagonal formations fitted one against the other are a great way to implement an attractive form of geometry in your interior designs. It was the base on which the Geodesic dome was designed. 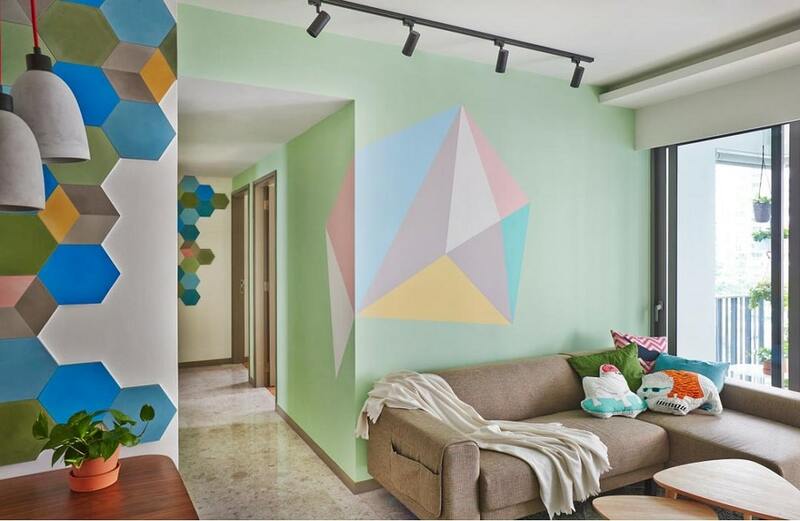 So the abstract hexagonal applications in this interior design look positively stunning within this home interior design context.